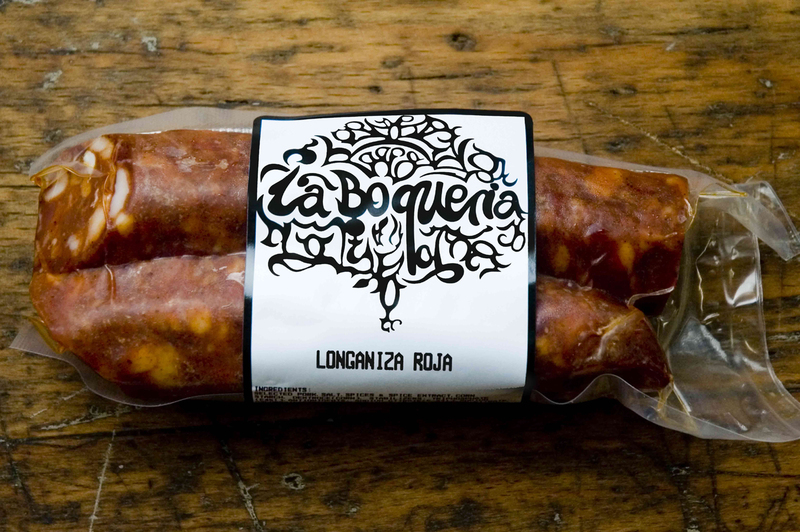 Longaniza Roja, a cousin of the Longaniza Blanca. As our love of paprika, this version has its predominant flavour and sweetness. A delicious horse-shoe shaped Salami, very coarse grind, sweet pork flavour notes with a strong paprika flavour and a mild background of pepper and spice. One of the most popular small-goods in Spain.